It’s not enough to arm them with sales tools; brands must engage them, too. Recently, I had the pleasure of presenting to the Georgia Crop Production Alliance (GCPA). I traveled from the corn and soybean fields near my home in the central Corn Belt to Cordele, Georgia, where they raise pecans, peanuts and cotton. I arrived on a dark and stormy night with hopes of being witty and wise. I left in a drizzle and was wiser, because I was reminded of very important and often overlooked audiences in ag marketing – sales reps, dealers and distributors. I was there to speak about Marketing to Farmers, zeroing in on the power of empathy in ag sales and marketing, which seemed soft-and-squishy following presentations on the impact of mergers and acquisitions on ag and the tariffs wars’ impact on Georgia ag. I was pleasantly surprised, though, that the group took an interest and some even took pictures of my slides. I’m confident, however, I got more out of the experience than those in the audience. I talked about emotionally driven decision making, deep customer understanding, and changing the conversation to bring empathy into the customer relationship. Yet, about 10 minutes into my 30-minute segment, I looked around the room and realized, given the composition of that group, I was getting schooled in empathy. This wasn’t a group of marketing and agency people, it was boots-on-the-ground representatives from basic chemical manufacturers, seed companies, retailers, ag universities and commodity groups. Most of them know more farmers and know more about farmers than I may ever know. So, I adjusted my presentation from schooling about mindsets of the five generations on the farm to offer ideas, borrowing from personal experiences and non-ag examples, on how to change the conversation by asking questions and offering value-added solutions to farmers rather than treating every interaction as a sales event. As I was wrapping up my presentation, I did one more scan of the audience and realized that this group of dealers, distributors and sales reps represents an audience that is too often overlooked by both marketers and their agencies. The majority of ag products – whether crop inputs, veterinary supplies or capital equipment – are marketed through either two-step or three-step distribution models. Granted, the ways farmers buy are evolving to more direct-from-manufacturer and online purchases. Still, dealers, distributors and sales reps play a critical role in the purchase process beyond being purveyors of products and services. They inform and influence farmers’ decisions, support the post-purchase experience and often are the linchpin in brand loyalty and repurchase. So, why are dealers, distributors and sales reps sometimes an after-thought in marketing plans? Are annual sales meetings, updated sales toolkits and monthly call-cycles enough to keep them engaged? Should they be moved up in the audience hierarchy? Should we do more to empathize and engage these groups in the ways they want to be engaged? In my mind, the short answer is yes. My trip to Cordele made me confident of that. As I was evangelizing for empathy in sales and marketing to farmers, I was reminded of the power of empathy with the folks who market and sell to farmers. 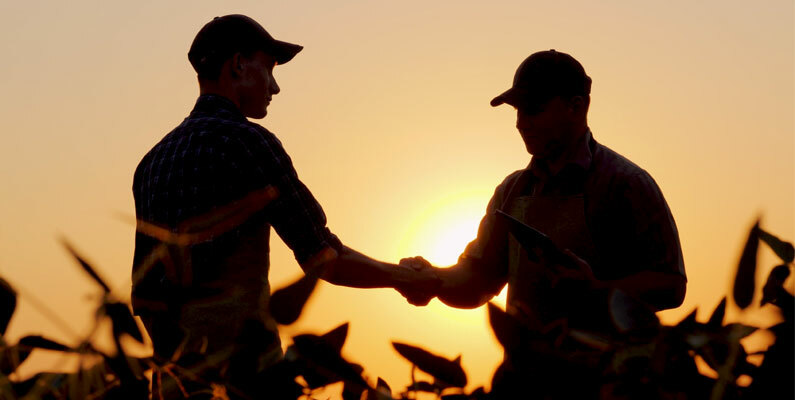 I was reminded that ag brands and marketers may weaken an important link in marketing to farmers if they are not actively engaging sales reps, distributors and dealers with relevant and useful messaging steeped in empathy.